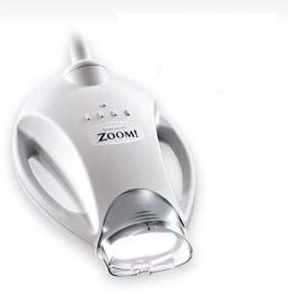 If you're teeth aren't looking as white as you would like and you aren't getting the results you want from home products then it might be time to consider a visit to your dentist for Philips Zoom! WhiteSpeed Light-Activated Whitening System. This is an especially good idea if you are a fan of instant gratification as you can expect it to whiten teeth up to 8 shades in just 45 minutes! 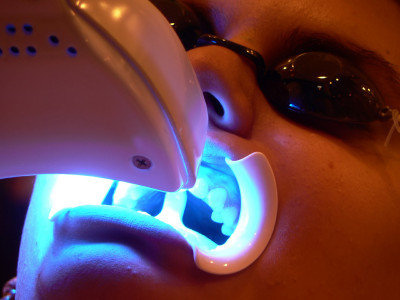 as it has advanced intensity settings that allow dentists to make adjustments for patients who may experience sensitivity during the whitening process. I went to visit the nice people at Toothworks Bay Adelaide Dental to experience Zoom! anew. After a check by the dentist to make sure there weren't any issues that would make the experience a problem, I was then put into the capable hands of Registered Dental Hygienist, Diana Ismail, who did a great job of talking me through the procedure as she did it so I would know what was going on and have something (somewhat) intelligent to write about here. First the rubber thingy you see above was inserted in my mouth - this keeps lips back so that teeth are fully exposed for the light to be able to reach them all. I couldn't help but think of it as a reverse ball-gag, which is probably not the name that Philips will want to use in their advertising campaign, but they are welcome to if they like. Then cotton is stuffed in around the rubber to help hold it in place and also give your drool someplace to go. 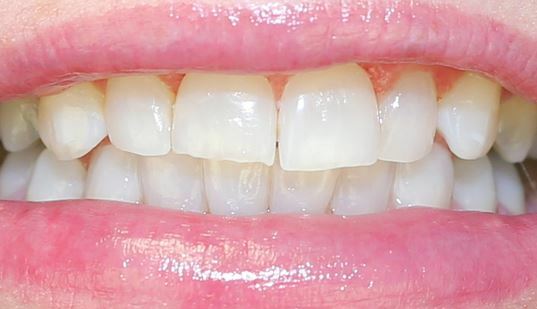 My gums were then protected with a special covering, then the unique hydrogen peroxide whitening gel was applied which breaks down into stain-fighting radicals that break the molecular bonds making up stains, both on and in teeth. The light from the Philips Zoom WhiteSpeed shining on the whitening gel helps these stain-fighting radicals whiten faster. The process is then repeated 2 more times for a total of 3 - 15 minute sessions. I felt absolutely no pain or sensitivity during the procedure, the most uncomfortable part was the rubber thing and cotton stuffed in my mouth. You also have to remain really still which is the perfect excuse to have a nap! What I was more worried about was afterwards. Last time I had it done I had shooting pains in my teeth for 12 hours or so afterwards. At the time I was told it was my teeth regaining the water that they lost during the procedure. This time I had almost no pain at all a bit of a dull ache that went away with a couple of Advil and didn't return. The other thing that is challenging is finding white foods - you can't eat anything with staining potential for 24 hours after the procedure - luckily vodka and white wine are on the allowed list! Check out the before and after pics - I really just did these to have an excuse to make stupid faces for the camera! Unfortunately the before pics really don't do credit to the discolouration that did exist- but you can certainly see that there is a big difference in brightness from these pictures to the next 3. You can see from the after pics that my teeth are now as white and bright as it's possible for teeth to look and still be real! You can get more info on Zoom! at the Philips website - http://www.zoomwhitening.com/en_ca. If you are in the Toronto area and interested in getting Zoom! I highly recommend visiting Diana at Toothworks for as enjoyable an experience as you can have with something like this. There are 4 locations in Toronto and you will find Diana at the 333 Bay Street location - 416-869-9888. At the time I went there was a special going on for $599 - I understand their usual price for Zoom! is $799. You can check out their website at www.toothworks.com for more information or their other locations or find them on Facebook - www.facebook.com/pages/Toothworks and Twitter - https://twitter.com/toothworks416. Labels: Philips, teeth whitening, Test Drive, Zoom!